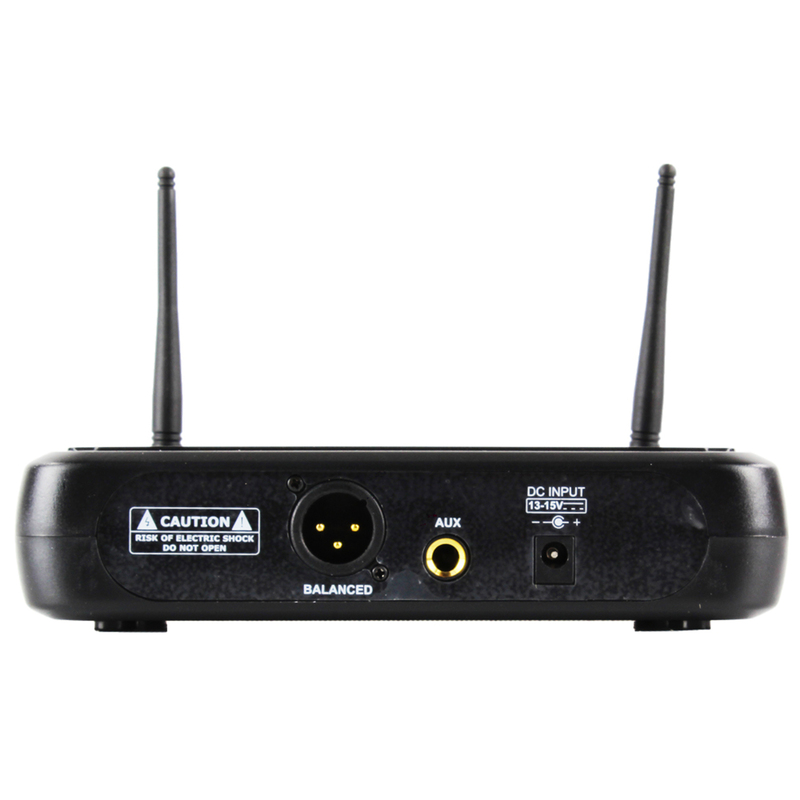 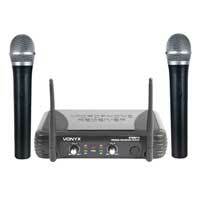 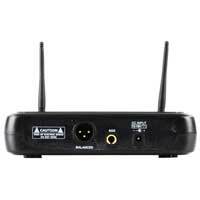 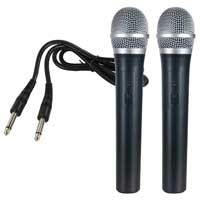 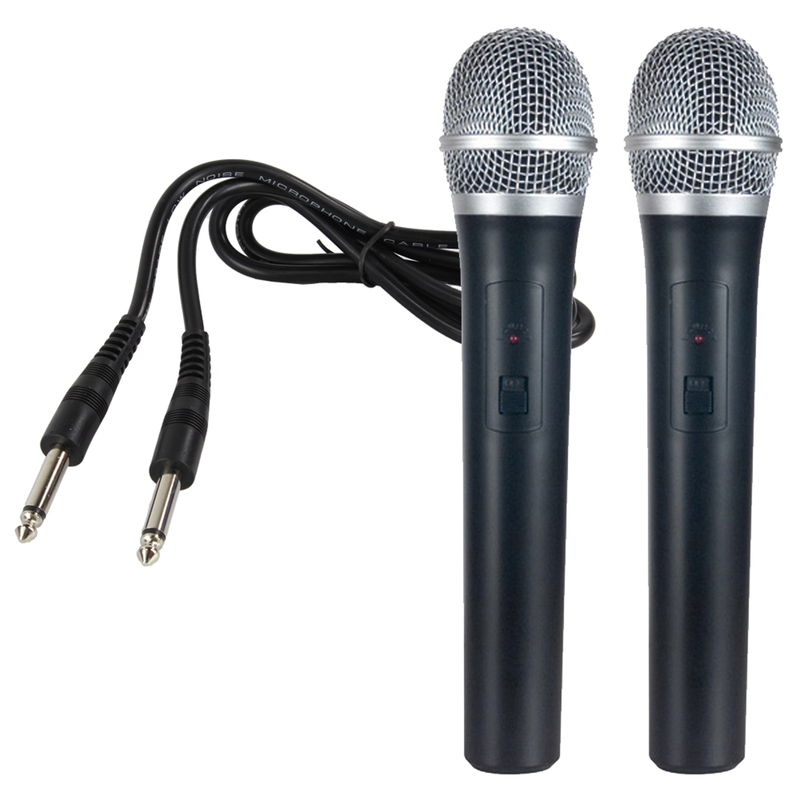 A dual channel VHF Wireless Microphone System with two handheld microphones. 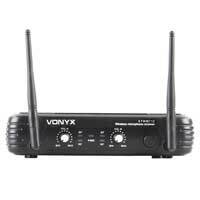 Both transmitters work on different frequencies. 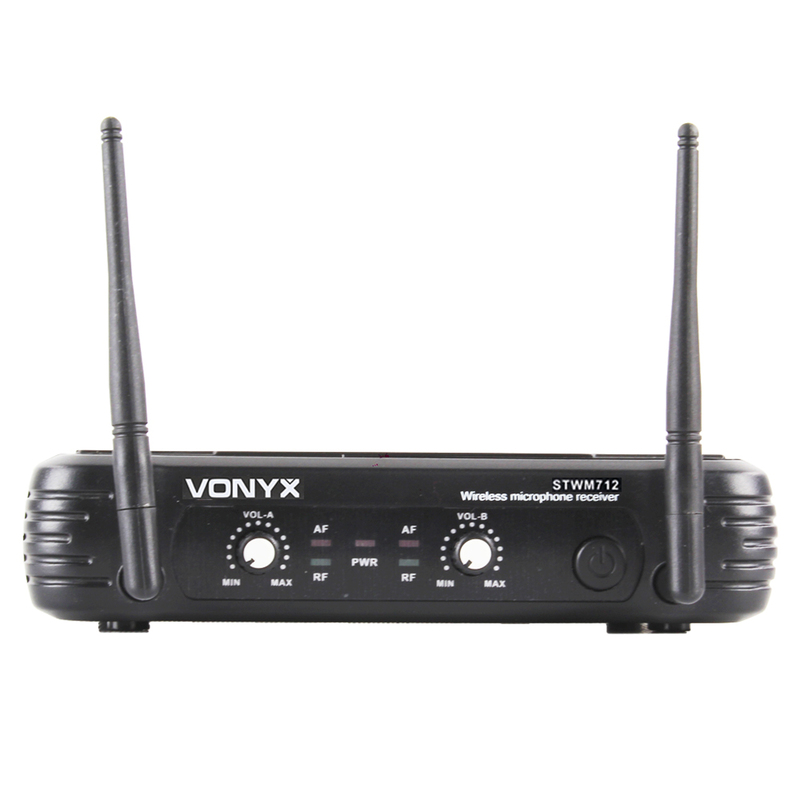 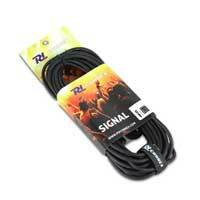 Good sound quality and reliable due to the VHF technique. Ideal for on stage, vocalists, presentations etc.